Do you ever feel guilty for binge-watching TV shows that offer no value? Did you know there’s a whole new genre of TV shows created specifically to expand your consciousness and take your mind to a whole new level? 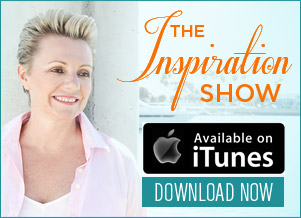 Joining us on this special episode of The Inspiration Show is my good friend and humanitarian, Spryte Loriano, discussing her upcoming “reality” TV show, Awakening Giants. If you’ve been feeling like you want to be a part of a positive change in humanity, then watch it now! NL: Hi everyone. My name is Natalie Ledwell and this is The Inspiration Show. Today on the show, I have a really good friend of mine, the amazing Spryte Loriano. And before we get in to having our little juicy conversation that we’ll be having today, I just want to remind you that if you are watching this show don’t forget that once the show is over that you click on the link below this video so you can download the free ebook version of my bestselling book “Never In Your Wildest Dreams”. So welcome to the show Spryte. Good to see you. How are you darling? NL: Spryte and I have actually been working together on an incredible project that we are going to be talking about in just a moment. Something that’s going to completely change the game when it comes to the type of media or positive media that you watch and how you can interact with that. But before we get in to that Spryte, will you tell us a little bit about, for those who don’t know you, like your background on how a project like this really spoke to your heart. NL: (laughter) So, right, let’s start talking about the show because for anyone who’s been following me for a while, they know that the travel last year was in Liberia and that whole trip came about because Spryte approached me with this whole idea of a show called Awakening Giants. So tell us about the concept of this show and why it’s so important you know, when it comes to really being able to put forward a positive message. SL: So Awakening Giants is a docu-reality TV series and it’s unscripted and what we want to say about that is it’s really important to recognize that reality TV is not reality. (inaudible) right, that we see today and that’s where all the eyeballs are in the world right now. It’s actually surpassed movies, isn’t that crazy? It’s reality TV and yet we’re not seeing in that space real, authentic human drama. 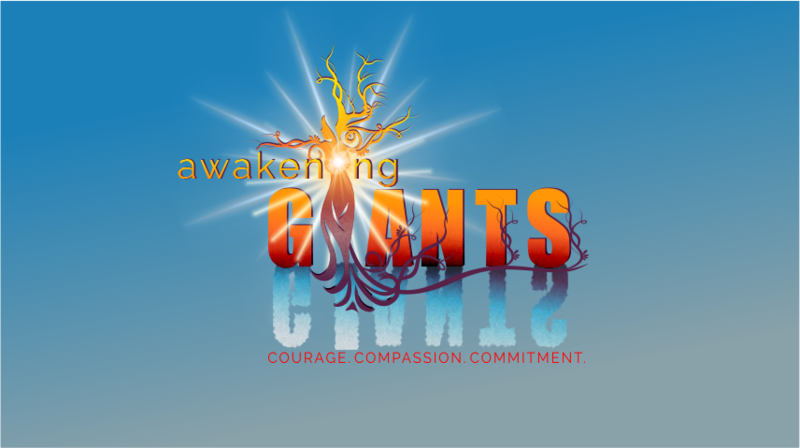 Real authentic conversations and opportunities of uplifting and inspiring the world and so that’s really what Awakening Giants is about, it’s about one, we have the audacious goal of literally transforming mass media through conscious leadership, showcasing conscious leadership. People like you Natalie and other people from around the world that are making a difference every single day with what they do. They’re leaders. They are leaders in their family, the community. They’re leaders in their businesses or the world and being able to show them in their own transformation. You know, recognizing that, you know, it’s like the guru model is over. That’s passe. We’re all teachers, we’re all students, we’re all the same. And as leaders it’s great to see other leaders coming together from all different walks of life, all economic levels, all religious beliefs and races and recognizing that we as leaders can be in the same room. We can have our own transformation together in an authentic way, we can make a huge difference together. And so we’re all of these concepts, adventure, conscious leadership, transformation, humanitarian, hands on, giving, being of service, are all woven in to this incredible real (laughter) reality show. 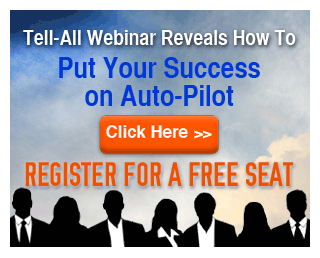 It’s really designed to inspire the audience to you know, get up off the couch, to recognize that they can be masters, they are masters of their own destinies, right? NL: Yeah. And I know with this first season, you now, there was the San Diego trip, there was Ecuador, I was on the Liberian trip. And I know that New Zealand’s coming up in a week or two, so there were so many different trips that you’ve done here and different transformations for the teachers and I know for me, like you know, you look at the group that we had in Liberia, I mean, there’s me, the Australian, you know, we had Barbara who’s from Texas and she is very Jesus forward and then we had Guillermo, he’s our Puerto Rican friend who does all different types of energy healing. We had Dorcy from California and me from California, we had some Canadians in there, we Akshay who’s an Indian-American, who’s ex-military. It was just, we were very much a motley crew to say the least but when we came together in this unified humanitarian effort and it wasn’t, we’re working with schools, we’re working with young entrepreneurs, we’re working with young women who’d been sexually abused, you know, it was like all different kinds of things that how we, through our different messages (inaudible) could come together was amazing. So in know that for me, it was life changing but like for the viewer, what is it that you are hoping that the viewer gets from being able to watch shows like these? SL: I’m really hoping that the viewer gets that through first of all, seeing the experiences of leaders, people that are New York Times Bestsellers and who have big companies, small companies, people that they might be seeing on Facebook or social media that there, first of all recognizing that we’re all the same, that it doesn’t matter what economic level we’re at, or what our experiences have been that we as human beings all really want the same thing and the Awakening Giants who are a TV giants and our Awakening Giants like in Liberia who are these incredible young people who just went through 15 years of war and then one of the poorest countries of the world, that we all have this common desire and that desire is to be, to have the best life that we can have, to be the best people that we can be and that when we give ourselves permission to face the things inside of us and face the things in our environment that don’t really sit well with, or that aren’t really worthy of us as human beings. You know, many of us, we go through tragic upbringings, we have you know, horrible things that happen to us in our life that shade us and jade us and create a negative view of the world and the truth is is that when we come together in these kinds of environments and from all different walks of life and recognize our commonality, our humanity, and we have a commitment to unity. By the audience being able to see that happen, I believe and I know that they can come back to their own life community and create a change there. 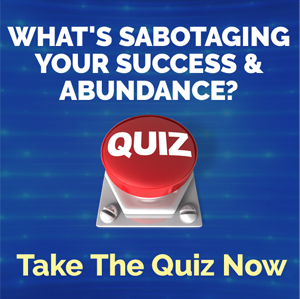 They can use the courage that they’re seeing from some you know, A TV giant, and what you’re going through or what somebody else is going through and use that as an inspiration to shift their life. You know, maybe it’s to shift an addiction, we talked about addiction didn’t we, in Liberia. We actually had Akshay who was addicted to drugs and alcohol and totally changed his life and then he sat down and he spoke with the drug addicts from the ghettos in Liberia and I mean, just powerful. This is real, it is reality, it’s real life, it’s not manufactured and I think that element of reality when you can feel that touch your heart and your soul, you know that you can create a change too. And that’s what we want. NL: Yeah. And the thing is this is not just a TV show. NL: Tell us what else is connected to this. Because it’s not just watching a show and going “Oh that makes me feel good, I want to do something great in my environment or in my community”. This is about how you can actually implement and embody some of the concepts that are you know, highlighted in the show. NL: (laughter) So if people wanted to download the app which I highly encourage you to do because it’s not just information from the different giants but it’s you know, built in to the app are different features so that you can start to change your daily practice. You can log it in there. You’re going to have other people that are cheering you on. You can set your soft goals and you can have everyone there supporting you to do that. It’s an incredible app. So when they go to the app store, what do they need to look up to be able to download that? SL: Yep. They just go to the app store and look at Awakening Giants. So they just look up Awakening Giants. We’re the only Awakening Giants on there and they can download that app for free and get engaged and like you said, I love the positive daily actions that you can take and it’s very different than you know, than Facebook. It’s really a positive environment, you don’t have to worry about having to scroll through and seeing “Uh let me get past that one, let me get past that one” (laughter). It’s an environment that you can feel really safe in and supported in and uplifted in and contribute your own voice too and how you also are here to make a difference and to change the world. NL: Absolutely. So just look for Awakening Giants when you go to the app store and that’s for android or iPhones. You can do that for (inaudible). And where’s the website that we can send everyone so they can get all the updates about the show, you know, what’s going on, little trailers, you know, all of those kind of things. SL: Yep. Everything is at awakeninggiants.tv, awakeninggiants.tv, really easy. NL: Yeah. So guys I really, I encourage you to go to the website to download that app. Like I said, there is, it’s like there’s a transformational leader or there’s a giant for everyone. So regardless of what kind of information that you’re into, I mean, there’s more than one transformational leader that’s there that can really help to inspire you especially now, like we’re going in to, it’s just the beginning of 2019 right now, you know, it’s time for us to really step up and I think that being involved in this environment whether it being through the tv show, through the website, through the app, you’re really surrounding yourself with people that you know, that truly know what the transformation is all about. Like I can tell you, in Liberia, I used to forget the cameras were there half the time because they were very unobtrusive but there were no princesses on that trip. Everyone was real as real, as real as it gets and we were in some really intense situations. So yeah, (inaudible) the show’s the same. You know, and there’s nothing… (inaudible). NL: Right. Thank you darling for joining us today. Always a pleasure chatting to you. And it was fun hanging out in Africa with you as well. It’s awesome, incredible. SL: Thank you Natalie and I hope to see you on another location shoot in season 2. We’ll see about getting you in to another location shoot and that’s the other thing too for those who are watching who consider yourself a change maker in any capacity, you have an opportunity of being a TV giant. You have an opportunity of coming along with us and being on location with us and so all of that information and opportunity is on the website, so take a look at that and take a leap with us in to really changing mass media and changing the world. NL: Alright, thanks for joining us Spryte. Guys I encourage you to please share this video. Let’s get the word out there. We can do that by clicking the Facebook and the Twitter share buttons on this page. Now don’t forget to click the link either to the side or below this video to go through to Awakening Giants tv that’ll take you through the website where you find out all about the show and when you get a moment, download the app as well. You know, Awakening Giants. It’s definitely worth your while. And then after all of that is over, don’t forget to click the link below that so you can download the free ebook version of my bestselling book “Never In Your Wildest Dreams”. So until next time, remember to live large, choose courageously, and love without limits. We’ll see you soon.